The Academy of Board Certified Environmental Professionals (ABCEP) is excited to announce a partnership with American Public University (APU), part of regionally-accredited American Public University System. Eligible applicants will receive six semester hours of omnibus credit towards a Master of Science in Environmental Policy and Management at APU from any of ABCEP's five Certified Environmental Professional (CEP) functional areas. If a student does not pursue this specific degree, the hours may be credited towards other APU graduate degrees if there are available electives. For more information, please visit APU's transfer credit website. Gary Kelman, ABCEP President, "While APU enhances the knowledge base of environmental professionals of all experience levels through academic programs and continued lifelong learning opportunities, ABCEP recognizes both those entering the profession and those who have helped make the profession what it is today and what it will be tomorrow," said ABCEP President Gary Kelman. "This synergy will build our profession. 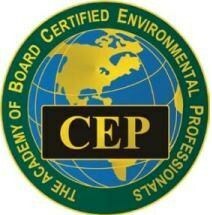 We will add more benefits to ABCEP certification in addition to the great savings afforded by APU's awarding of transfer credits to certified environmental professionals (CEPs). ABCEP is anticipating a long, fruitful relationship with APU." "APU's curriculum is routinely reviewed by industry experts to ensure relevancy to today's ever-changing workplace," said Michael Harbert, APU vice president of strategic markets and relationships. "We're proud to partner with ABCEP to educate emerging leaders in the field on the latest technologies, environmental impacts, legislative changes, and more to help them advance their career and their industry." American Public University System, winner of the Sloan Consortium's 2009 Ralph E. Gomory Award for Quality Online Education and two-time recipient of Sloan's Effective Practices Award, offers 87 online degree programs through American Public University and American Public University System and American Military University. APUS's relevant curriculum, affordability and flexibility help more than 100,000 working adults worldwide pursue degrees in a diverse variety of subjects. For further information, please visit www.apu.apus.edu. ABCEP's primary mission is to confer the CEP credential to meritorious environmental professionals found to meet exemplary standards of ethics and technical practice. The process used by this Academy to certify environmental professionals is accredited by the Council of Engineering & Scientific Specialty Boards (CESB). For more information about professional certification, contact Ms. Nadine Jackson-Bey at [email protected] and visit ABCEP's website.